Statcast darling Franchy Cordero is a name to keep an eye on in 2019. 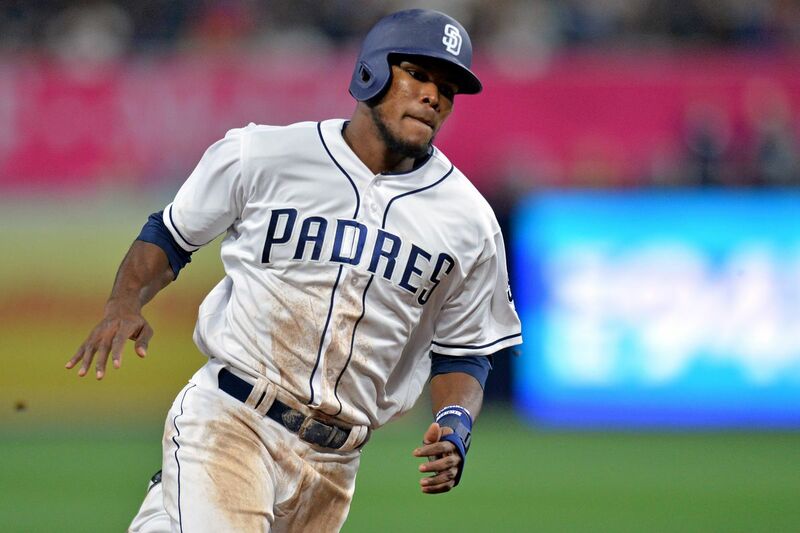 The San Diego Padres’ outfielder is fully healthy and could be poised to put up impressive numbers for the team. 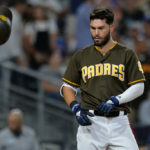 The recent rumblings of Bryce Harper’s interest in San Diego have coincided with an increased spotlight on the San Diego Padres’ outfield surplus. Let’s start with the bad first. Cordero’s season-ending elbow surgery limited him to just 54 games in 2018, a year where his eye-popping flashes of star potential were often mixed in with much more frequent displays of fundamental flaws and inconsistency. I’d venture to say that a .237/.307/.439 line, 55 strikeouts and just 14 walks included, was not what people had in mind when putting him on so many of those “2018 breakout candidate” watch lists. He struck out at Joey Gallo-esque levels without the 40 homers as a supplement and misplayed balls in the outfield far more often than anyone with his natural athleticism should. He also may or may not have ruined the first no-hitter in franchise history by letting a painfully catchable fly ball drop, but I suppose we don’t need to get into that. 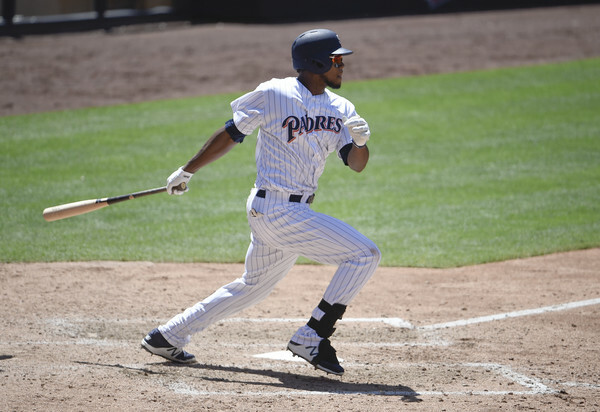 While it’s easy to get caught up in all the Fernando Tatis Jr. walk-off, bat-flipping awesomeness that highlighted the Dominican Winter League from a Padres’ perspective, ten other minor and major leaguers in the organization, including Cordero, participated as well. Unfortunately, Cordero largely struggled with the same issues that have plagued him for much of his career: 99 at-bats, .232/.321/.384 slash line, two homers, 37 strikeouts with 13 walks. First, the obvious. 37 strikeouts in 99 at-bats is bad. Like really bad. If his strikeout rate continues to hover around 35-40%, it’s tough to see him becoming anything more than a marginal major leaguer, irrespective of the undeniable physical tools. It’s possible that recovery from elbow surgery played a part in that, but you also have to consider that he didn’t face major league pitchers every night as he would in, well, the major leagues. Now that we got the nasty stuff out of the way, let’s take a look at some of the aspects of Franchy’s game that suggest he could be a star in the near future. 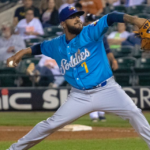 Further dissecting his Dominican League performance, his 13% walk rate far outpaced that which he posted in the 2018 MLB season, and he led los Leones del Escogido in total walks. For a player with his wheels, getting on base is going to be critical in his development, especially for a player who will most likely always have a high strikeout rate as part of his profile. Speaking of wheels, he was clocked by Statcast the last two seasons in the 98th and 95th percentile, respectively, in terms of top sprint speed. Combine that with raw power that produced three 450-foot-plus bombs, including a 489-footer that was the longest non-Coors-assisted blast of the 2018 MLB season by any player, and you’ve got a power-speed combination that you just don’t see on this side of Mike Trout. Power and speed are the foundation of most star outfielders and he’s got that in excess. What he needs to do in 2019 is fill in the rest. 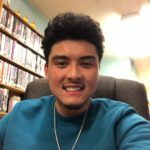 So why does Cordero qualify as a “wild card” rather than just another talented player with noticeable flaws in his game? Well, it has almost everything to do with the outfield logjam that still remains unresolved. 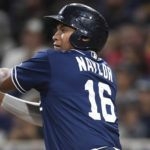 Essentially, you have five outfielders – Margot, Myers, Renfroe, Reyes, and Cordero, plus a possible longshot like Harper – vying for three outfield spots. Cordero can play center unlike Myers, Renfroe, and Reyes, so he has that going for him, but Renfroe and Reyes also made significant strides in the latter half of 2018 while Cordero was on the DL. 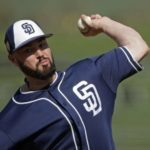 Margot struggled, but is still the favorite to start in center and Myers is getting paid too much money to sit on the bench. And Harper? Yeah, he’d probably start. So when I say that Cordero is the biggest wild card for the Padres in 2019, I essentially mean that his range of possible outcomes is the widest. It’s easy to see him finally putting it all together and flirting with a 30/30 season in an everyday role. 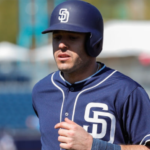 It’s just as easy to see him struggling out of the gate and falling out of the outfield rotation completely, which would likely lead to a trade or demotion to Triple-A. No other player on the roster has that much uncertainty attached to their name. 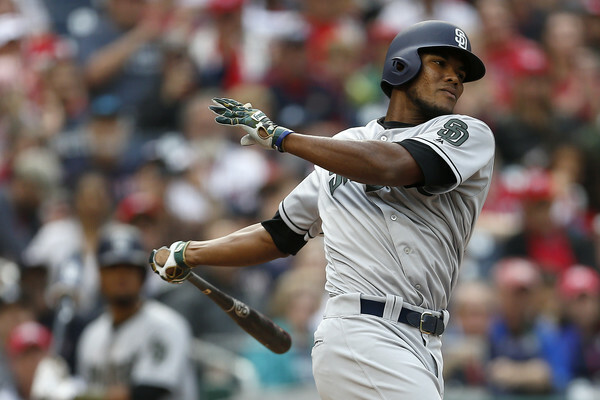 2019 is going to be an important year for a lot of Padres, but it’ll more important for Franchy Cordero than just about anyone. 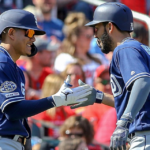 Previous How are Padres Still in the Machado/Harper Sweepstakes? 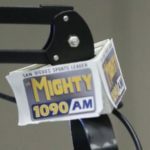 Next How Will Luis Urias Do at Shortstop in the Majors? Let’s remember that Cordero did not grow up playing baseball, so that’s another variable. Great speed and power, but poor baseball instincts. He should be given 500-600 plate appearances this year so we can see just what we have here. I’m sure that’s part of his struggles with outfield reads/routes. Another reason why him missing so much time last year was such a bummer. Very good article, Brady. You are right to highlight him, and call him a wild card. Does anyone have his lefty/righty splits? He and Margot might be a great platoon type-situation in CF. Also, a commenter here had a great idea worth considering, Franchy was a SS first, and then moved to OF, so what are the possibilities to try him at 3B? While this is obviously a long shot, this could kill 2 birds with one stone. It could also give him time in AAA to work out his swing. Thanks for the love, Tommy. I don’t hate the idea of a Margot/Cordero platoon in center if neither one of them steps up as a legit everyday player. Could be a decent way get value out of both of them without having to trade one. Him at 3rd I don’t see working, though. Seems pretty likely they sign a 3rd baseman (eg. Moustakas) if they miss on Machado. He had too many errors at shortstop but I agree having him split time in outfield and third base at AAA would get him more at bats and playing time to develop. And who knows we could have a third base solution. Besides it couldn’t be worse than Wil Myers at third.